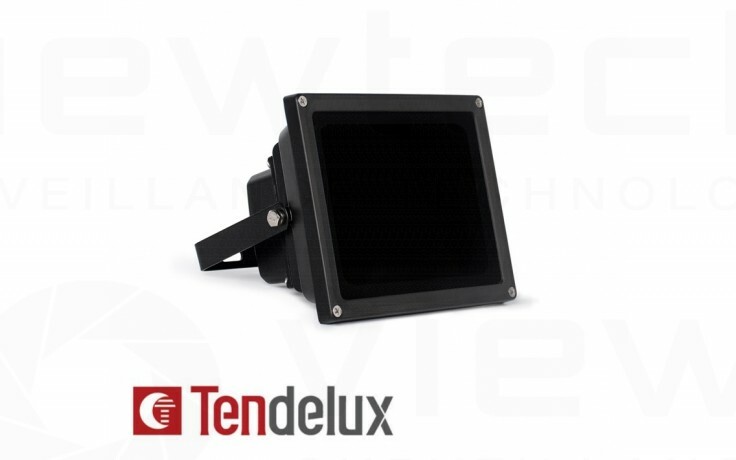 Tendelux IR illuminators provide an IR assist to any IR compatible CCTV camera system. High quality IR array modules are used to provide even light distribution right accross the specified angle. The front lens is scratch resistant glass and the housing is powder coated aluminium with stainless hardware. A built in LDR provides light detection and activation. Will require minium of 2A 12V DC power supply (not included).